Run for FUNds!! 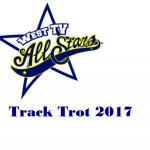 Track Trot is the annual fundraiser for the West TV elementary school PTC. Thank you for supporting West TV! ↑ Pick from the items above to donate.